Bungay and Beccles Taekwondo clubs have very active student memberships with well over a 100 members between them and 40 students successfully completed their last grading of 2018. They were put through their paces by Mr Gillett 5th Dan, and Mr King 6th Dan the GTUK association Examiner from Wellingborough. 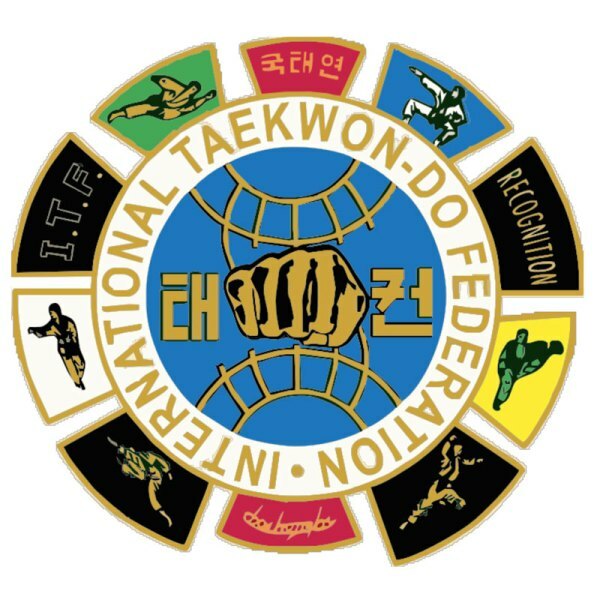 All students demonstrated great enthusiasm and endurance during the 4 hour grading of techniques, patterns, self-defence, sparring and destruction, they were also tested on their knowledge of Korean terminology. Mr King said ‘Standards were excellent and they were again a credit to the region and their instructors, all students worked really hard, and are being awarded a 100% pass rate’. The grading was then followed by an end of year party and presentation evening of new belts and student awards. Students and their families enjoyed a superb buffet of savouries and cakes. If you would like to join a club then now is a perfect time to start getting fit following on from the excesses of Christmas. The sport of Taekwondo is an excellent and fun way of losing weight, gaining fitness and suppleness as well as confidence alongside real self-defence capabilities. Both local clubs are family orientated with many parents training alongside their children in order to gain new skills and a sense of wellbeing. Ages 5 and up! So come and join us! Visit the club websites for more details: Bungay-Taekwondo.co.uk at Bungay High School, and Beccles-Taekwondo.co.uk at The Venue Sports centre Beccles.